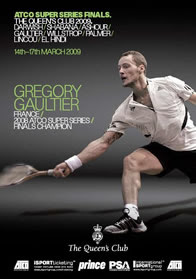 The marketing engine for this weekend's start of the ATCO Super Series Finals 2009 is in top gear, with effectively a new era for the men's tour being launched. 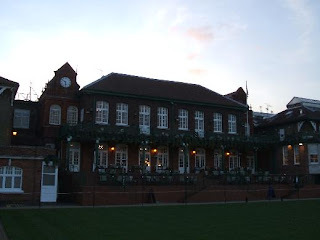 The Finals this year are taking place at Queen's Club, Chelsea, in London, having moved from their Broadgate home. But what do the respondents to our poll think about the upcoming event (14-17 March)? We asked visitors to the site whether they thought that the move to Queen's Club would be a good thing for the tournament. Results (below) show a positive, but guarded, welcome for the move, with the conclusion to be drawn that we'll have to "wait and see". Of course, it's not just about the change of venue. Much has been made in the squash press of the changes at the top of the PSA and the involvement of ATCO President Ziad Al-Turki in the re-organisation of the Super Series and the future of the men's tour. 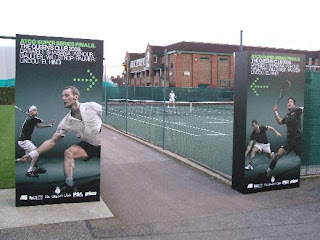 "It will also be the first major event since the appointment of branding agency Greenspace to make the sport even more appealing to a younger, wider audience. 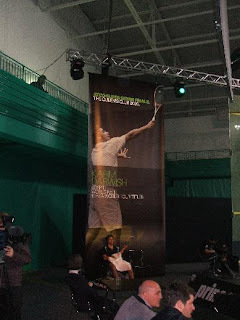 The agency has promised to overhaul almost every aspect of the sport, including court design and player uniforms." 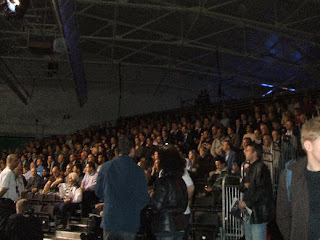 It is also great to see that the event is "poised to set new records for ticket sales" - an indication that ticket sales for the event have been pushed harder than ever before (we look forward to seeing the size of the crowd). The organisers are making big claims - it will be a step forward for the game as a spectator sport in the UK if they can live up to the hype. 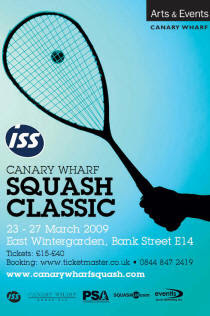 Can the Super Series challenge Canary Wharf as the best live squash experience in this country? ES have commissioned professional help from an agency, Fudge Studios, as part of the process. With squash historically pretty dire at marketing itself, this seems like a worthwhile investment. "Our vision is to increase the popularity and profile of both sports, continue to raise levels of success at international level and to run the sports according to the highest standards of governance, management and ethics. In order to achieve this we felt that the organisation needed a new identity, one that truly represented our aspirations to be modern, vibrant, and professional." First impressions are always strong when an organisation revels a new logo (remember this?). The WSF has also had a go in recent times. "Both the logo and website have been designed to convey the sports of squash and racketball as vibrant, dynamic, modern and professional, and to persuade more people to get on court to try our great sports." Interesting to see that a governing body has taken the step of removing a recognisable squash ball from their branding (though now that racketball comes as part of the package this may have been a deciding factor). 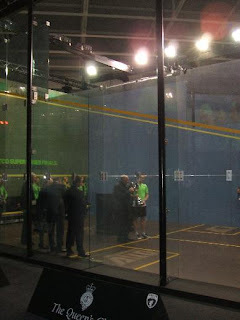 The squash ball naturally lends itself to becoming a logo for the sport, and most websites (we hold our hands up!) incorporate it. It seems a small point, but moving away from this is a step in the right direction. We can't help see a certain well-known web browser in those reddy-brown swirls, but I doubt that will be the first thought of many. It certainly carries the hallmark of being thought about in detail - rather than some we could mention. 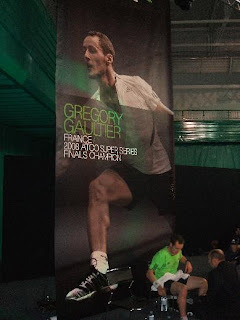 It is somewhat unfair to judge logos decontextualised - we'll have to wait to see England Squash & Racketball (do we now have to write that every time .. seems a bit of a mouthful)'s new website and other marketing materials to see how it beds down into the wider campaign. Signs and their meaning change over time, don't cha know? "Over the coming months and years we will be working closely with clubs, leisure centres, universities and workplaces to help introduce thousands of new players, coaches, and volunteers to the sports, and key to this is creating a vibrant club scene. Squash will continue to be at the heart of our activity but we feel strongly that racketball will help bring new people to squash courts. Squash facilities that have embraced both sports are going from strength to strength, with busy courts and increased membership numbers. Our aim is to help all clubs achieve this success."